Tampa Bay area food pantries say they are preparing to serve more people in need as the partial government shutdown hits the one-month mark. 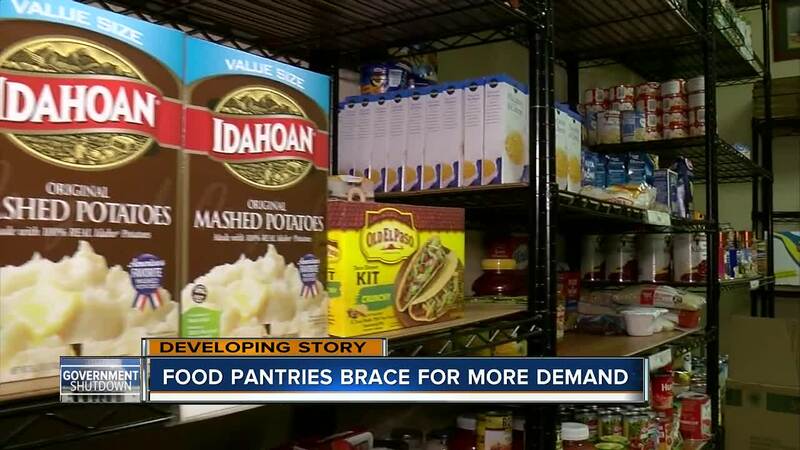 BRADENTON, Fla. — Tampa Bay area food pantries say they are preparing to serve more people as the partial government shutdown hits the one-month mark. DeAdra Sunset, a single mother and domestic violence survivor, counts on Hungers End Manatee for a hot meal once a week. Sunset is one of nearly 3 million Floridians who receive SNAP benefits, also known as food stamps. Some fear those benefits may run out if the shutdown continues through February. "I literally have dropped many pant sizes just in two years because the food stamps that we do receive are very minimal and he eats before I do, which is why we attend these dinners," said Sunset. Hunger Ends Manatee serves about 600 families in need every month. The Bradenton non-profit says it is preparing for a larger-than-normal turnout for a food giveaway this week.